It’s true what they say about the active lifestyle industry these days — experience trumps product. A prime example is Vail Resorts Inc. (NYSE:MTN), as the ski resort business reported solid numbers for its fiscal full year 2016, proving it’s finding success amidst an otherwise tepid snow sports industry. 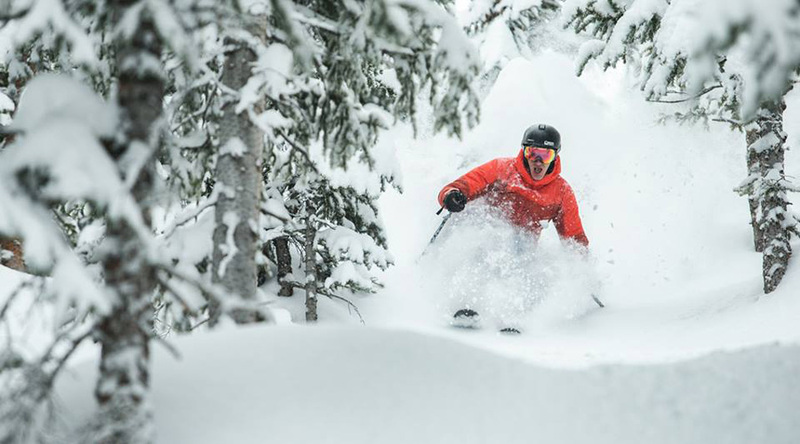 The company reported its mountain revenue for the fiscal year ended July 31 up 18.2 percent to $1.3 billion, driven by an 18.5-percent increase in skier visits and a 21.5-percent increase in season-pass revenue. Part of those gains included the company’s first full year of its recently added Perisher Resort in Australia and a 13.2-percent increase in U.S. skier visits, helped by the addition of Wilmont Mountain near Chicago, inflating the numbers a bit. Still, effective ticket prices rose 3.5 percent, meaning that even though Vail raised its prices, more people continued to hit its slopes. It all seems to be translating well for Vail’s retail/rental business, including more than 200 sporting goods stores, which saw sales rise 10 percent in the fiscal year to $241.1 million. Nearly 60 percent of the increase, or $13 million, came from an 8.2-percent increase in retail sales, while the balance came from a $9 million, or 15.3 percent, increase in rental revenue. Retail sales growth was driven primarily by improved snowfall in the Tahoe region, which drove sales increases at stores near or in Vail Resorts’ three resorts in the region, as well as its Any Mountain stores in the San Francisco Bay Area. Retail sales at the Perisher resort in Australia, which Vail Resorts acquired in late 2015, also contributed to the growth. The increase in rental revenue came primarily from stores near the company’s mountain resorts in Tahoe and Colorado, where skier visits also increased, and incremental rental revenue from Perisher. The company’s ski school and dining sales were also up — rising 13.5 percent and 19.8 percent, respectively— compared to the prior year. Overall resort revenue, including Vail’s real estate holdings, grew 16.2 percent to $1.6 billion. Net income attributable to Vail Resorts Inc. was $149.8 million, or $4.01 per diluted share, for the fiscal year, compared to a net income of $114.8 million, or $3.07 per diluted share, in the prior fiscal year. Katz said Vail’s summer business is also on the rise with mountain revenue for its spring/summer fiscal fourth quarter, ended July 31, up 21 percent to $98 million. And although the warm-weather season is still a money loser, the company trimmed the quarterly net loss to $65 million versus a net loss of $70 million a year ago. The report validates estimates by DestiMetrics, which reported last week that spending on lodging at western mountain resorts set a record in August for the fifth year in a row as higher room rates continued to offset lower season-to-date occupancy. Vail Resorts estimates its 11 U.S. resorts accounted for 17.6 percent of skier visits in the country during its fiscal year, including nearly one-third of visits to the Rocky Mountains (including Colorado and Utah) and one-quarter of visits to the Tahoe region. Looking ahead, through September 18, 2016, Vail’s U.S. season-pass sales were up 24 percent in units and 29 percent in dollars, although Katz expects those growth rates to slow as the company has done a better job in selling season passes earlier. Companywide, officials provided fiscal-year 2017 guidance; however, the figures excluded Vail’s previously announced, planned acquisition of Whistler Blackcomb. Canadian anti-trust authorities have cleared the transaction, which officials expect to close this fall pending Whistler Blackcomb shareholder and remaining Canadian regulatory approvals. So, without Whistler, Vail expects net income to come in at between $165.5 million and $194.5 million, with EBITDA growing between 6.1 and 12.7 percent. That assumes normal weather patterns and an exchange rate of 77 cents between the Australian and U.S. dollar, officials said.